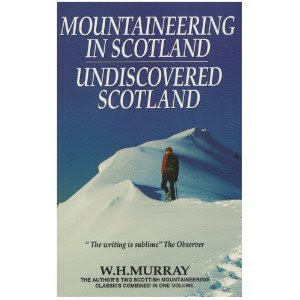 I've been re-reading WH Murray's classic - and that's the word - double header of "Mountaineering in Scotland" and "Undiscovered Scotland". Something of an Amazon bargain, incidentally. His first visit to Skye took place in 1936, and almost in passing he discloses that he immediately formed the idea of having a go at the Cuillin. Not just the main ridge, like, but "a combined traverse of both eastern and western Cuillin", which involves adding Blaven and Clach Glas. Jings. It took him a wee while to persuade even his well-at-themselves mountain men mates that it was possible, and thus it wasn't until 1939 that he was back on the Misty Isle, with a view to his plan coming together. He was there in summer. 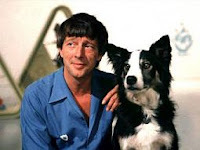 "Skye in August is no fit place for man or beast. The entire island falls into a state of midge-ridden anarchy. Life in camp was often wellnigh unbearable, and almost every night witnessed scenes of disorder and sounds of torment, dire enough to pour balm on the soul of a Torquemada." I'm not going to try and do summary justice to the description of the route that he and his climbing partner took across the Cuillin, but the point of the post is that after ten thousand feet of rockwork, and faced with a further four thousand feet, they were understandably in need of a bit of a boost. Hot chicken soup followed by chocolate was welcome, but...but...it didn't quite do the trick. Accordingly he and his climbing partner "enlivened our diet by consuming between us one pint of 'Mummery's blood'. This mountain elixir consists of equal parts of navy rum and Bovril, served boiling hot. Its effect on both mind and body is nourishing, warming, strengthening; it lowers angles, shortens distances, and improves weather." That's clearly where I've been going wrong. If I'm getting tired up a hill I have a couple of jelly babies. Not that I'm telling folk what to do, but everyone - everyone - should read this book. Yes, but did he do any Corbetts or Grahams in the south of Scotland. This site could do with some of those occasionally.